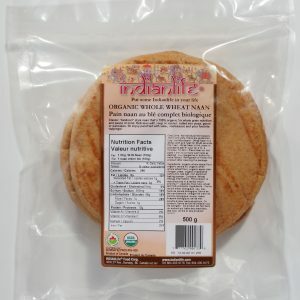 Organic Spelt Roti – IndianLife Foods Inc.
Spelt is an ancient grain with modern benefits. Many people who can’t eat wheat find Spelt easy to digest. Great nutty flavor, more B vitamins than wheat, Iron & lots of heart-healthy fiber also makes Spelt easy to love! Bend it. Fill it. Wrap it. Grill it. 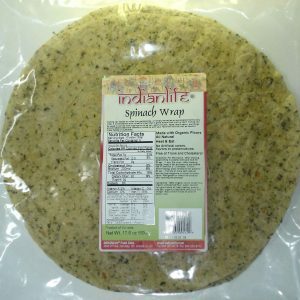 “Wrap n Roll” with easel Sensationally soft & strong, our family recipe is a big on flavor and nutrition with only the freshest Non-GMO, natural and Organic ingredients. For great taste that’s good for you and good for the planet. Directions: Thaw before using “Wrap N Roll” fresh from the package. Microwave: Heat 30 secs – 1 min. Oven: Preheat to 425° F. Heat 2-3 min each side. 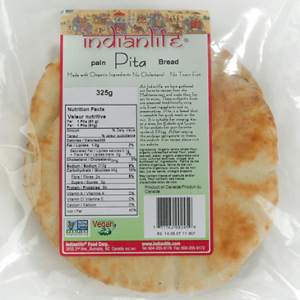 Delicious with coconut oil, butter, margarine or olive oil. Ingredients: Organic sprouted Spelt flour, water, organic canola oil, organic apple cider vinegar, sea salt, organic guar gum, xanthan gum and baking powder. Contains wheat, may contain tree nuts and/or sesame.